Autumn Trace homes for sale are located in Simpsonville, SC off of Pollard Road. There are 238 single-family homes in this beautiful residential neighborhood. This is a great community for young professionals, growing families and retires alike. If you’ve been looking for a Simpsonville home in a newer subdivision, Autumn Trace homes may be for you! Learn more about the amenities available with Autumn Trace homes or browse through some of the listings below. 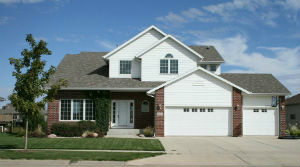 Included in these homes is access to a lovely clubhouse, maintained common grounds, lite sidewalks and community pool. The homeowner's association here fosters a warm sense of community spirit and works hard to ensure that common grounds are well maintained and maintenance schedules are followed. Some of the highly sought interior features of individual homes include fireplaces, two story foyers and open concept designs. The exterior of Autumn Trace homes are usually brick or vinyl siding with great outdoor add-ons such as front porches and charming window treatments. If you're currently searching for a home and a specific school listed as one of your top priorities, be sure to check out our school pages. We've created pages that highlight lightings that are assigned to specific Greenville County schools so can find a home that meets your family's needs easily. Ready to take the next steps in buying an Autumn Trace home? If so, please be sure to reach out and contact us or call (864) 520-1000. We'd be happy to tell you more about this community and talk to you about other Simpsonville real estate that might match your search criteria.